We love the weird, odd, and of course the bizarre here at Izismile, from your comments and feedback we know that you do too. We also know that everyone loves top ten lists, so here you have it lists of the wild, weird, and even sometimes the gross. Do you have a bizarre or odd subject you’d like to see a weird list created from? GREAT! Send it to us! We want to see it, dissect it, and create a top ten of weirdness just for you! If we use your idea, we will be sure to shove your name, give you credit, and acclaim your status in the creation for the world to see! As I was preparing to write this article today, I got a bit hungry and thought why not see what others eat. 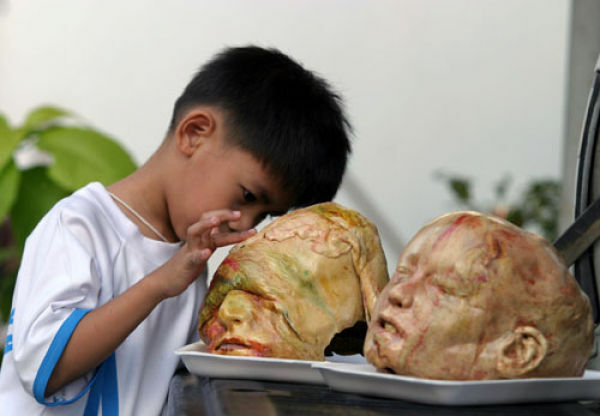 I typed in Weird Food and here is just a sampling of some of the foods that came up. These are the top ten on the grossness meter for us…. Lizard Cocktail with a REAL lizard! Lizard on a Stick or is that a Fiery Salamander? Either way he is now a crispy critter for life or well death. What do they call this tasty treat?!? 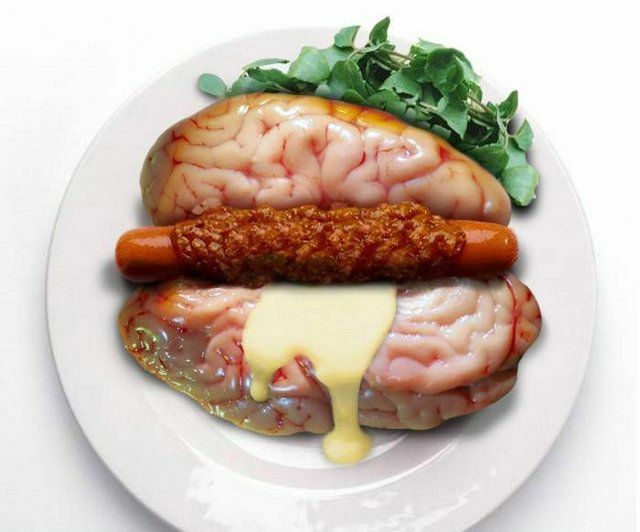 Brains and Wienies? Notice that brains and wienies aren’t enough they had to heap on chili and a sauce… is that to cover up the disgusting taste and smell? 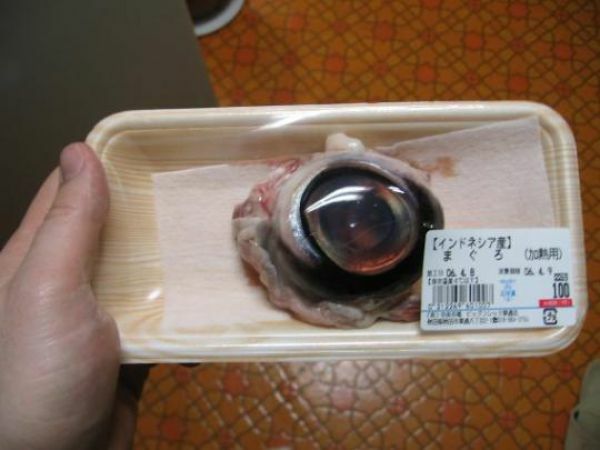 Everyone loves Tuna, but the eyeball? Maybe not gross, but definitely on the weird scale! Tasty goodness or OMG! You make the choice! Some say veggies, some say bread, we say OMG no! 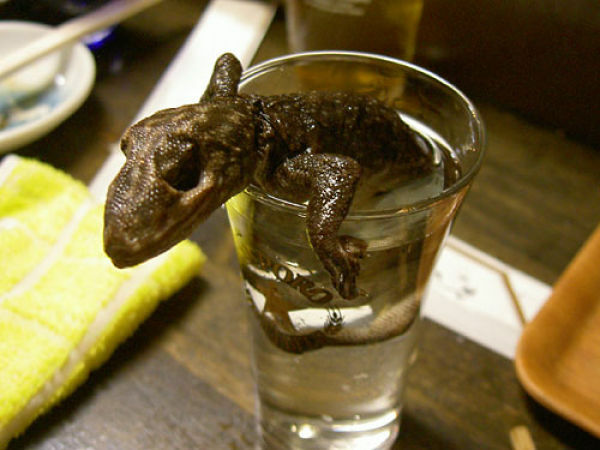 Well that is our top ten for this week on weird and gross food. 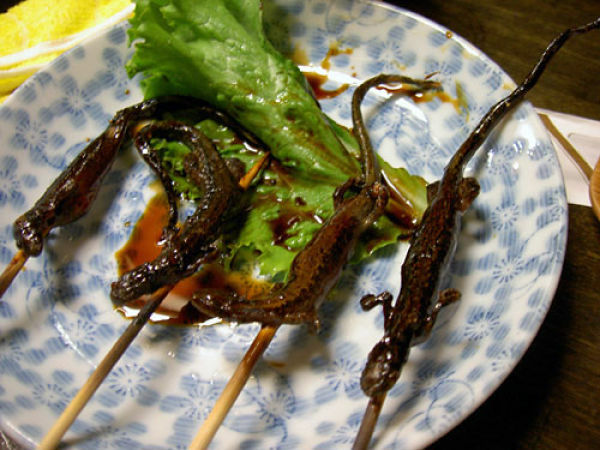 We left out insects as everyone knows that bugs are gross, and honestly we think that these foods are seriously far more disgusting than a bug dinner. 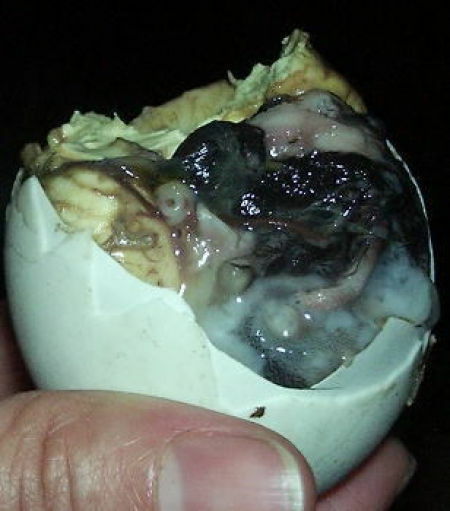 Send us your own weird and disgusting foods! I've eaten (number 2) dog a few times in Korean restaurants in China, and I have to admit it's tasty! 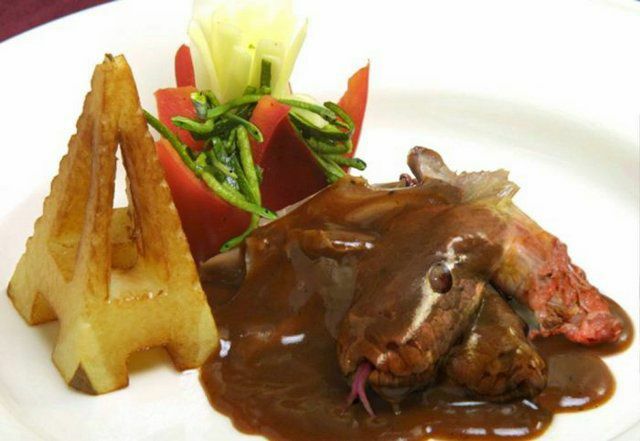 It's very similar to rabbit in both taste and texture. Still, even I wouldn't be brave enough to sample everything on here. Some photoshopping going on in the case of the mice donuts, "brain dog" and and the snake, but God knows there ARE some odd dishes from around the world!! Mice doughnut? I thought they were puppies. The Chinese will kill and eat everything and anything. 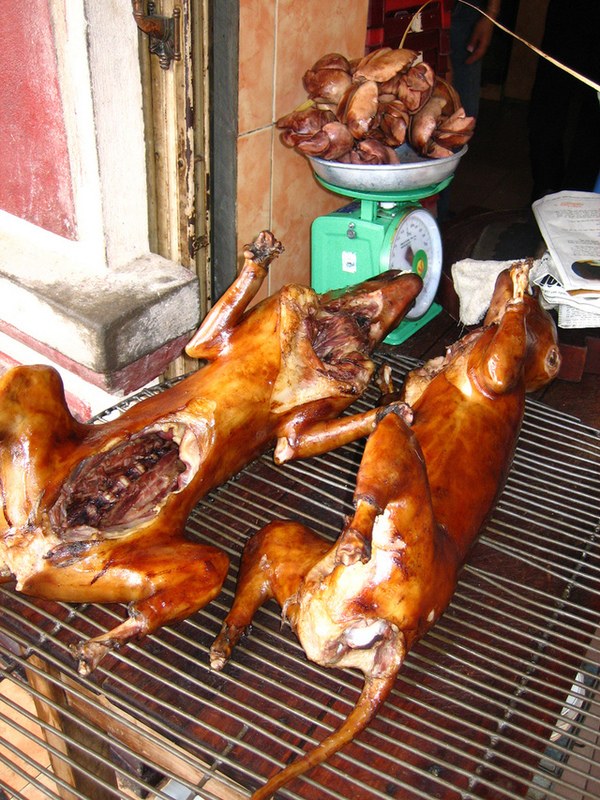 By the way, the dogs are whacked on the head and then skinned alive. Most definitely a dish for sadists and deviants. OMG! I would never touch that disusing hot dog. mmmmm im hungry now. anyone know where i can get some good dog around here? 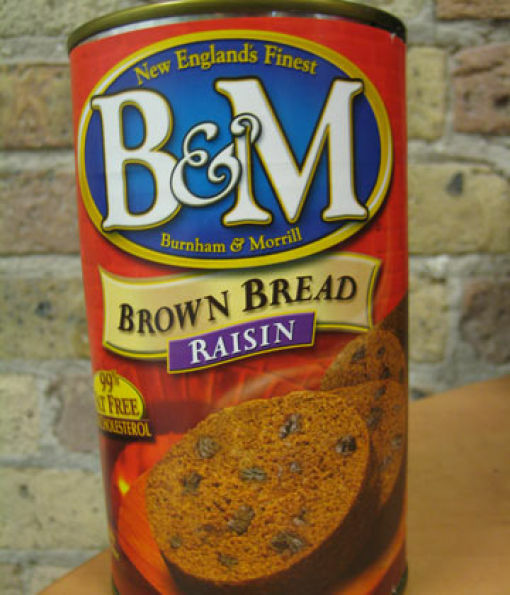 Pic #7 Bread in a can. Brown bread is a new england staple, traditionally served with hot dogs and baked beans. 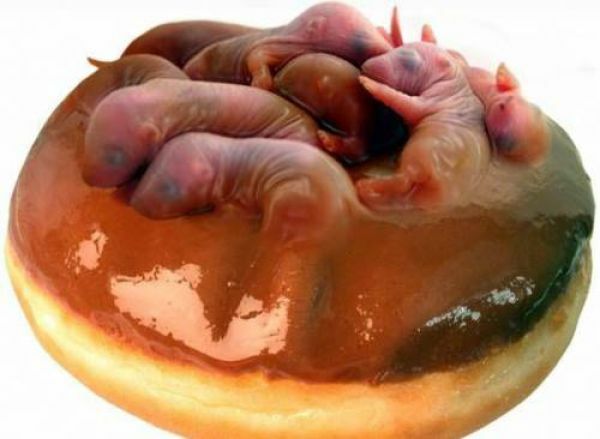 Thats Pig-puppies on the donut, i prefer vanilla cream on top. This is both gross and awful! I can't imagine anyone eating most of that (except maybe the canned bread). The first one is absolutely horrendous, who could eat that!! And the second one just makes me lost for words, who on earth who eat dog, they're pets, part of many people's family. I guess in Asia people don't keep dogs as pets..or they're just a tad disturbed in their eating habits. Heck, 'bout every Marine, and a few sailors I know that have been to the Phillipines have had a balot. Kind of a 'rite of passage' thing.